It’s July, which means summer is well and truly upon us in all it’s sunny, warm glory. Of course, here in Austin, that means finding myriad ways to get out and enjoy the sunshine and the summer fun without melting like lipstick left in an unshaded car. Despite the rising temperatures, your makeup shouldn’t show just how long you’ve been out in the sun. This summer, try these makeup tips and trends to enjoy a fresh, bright look with some of the season’s current trends. Helping your face avoid the dreaded makeup melt starts with a good foundation. If you haven’t yet, now is the time to invest in the goods for a proper cleansing and care routine, including a light but nourishing summer moisturizer. One of the best ways to prevent makeup melting off in the summer heat is to apply less of it; a bit of extra focus on your skincare routine can help you enjoy skin you don’t mind flaunting! 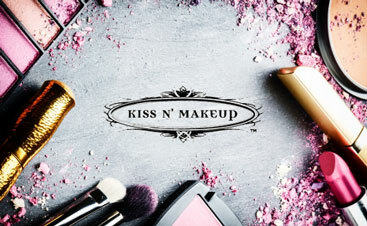 If you’ve struggled with skincare products or somehow don’t have a skincare routine yet, a professional makeup artist, like the team at Kiss N’ Makeup here in Austin, can help you find the products that best fit your skin type. A clean, clear face generally means less makeup covering your skin, which means less makeup to sweat off when you’re outdoors all day. Choose to forego the foundation and apply just a hint of concealer to brighten your eyes. This way, as you go to blot oil and sweat away, there will be less risk of taking your makeup with it. If you aren’t comfortable forgoing concealer, foundation, and powder entirely, do your best to keep everything minimal. Primer will help powder stay in place longer and allow you to apply less makeup to your face. 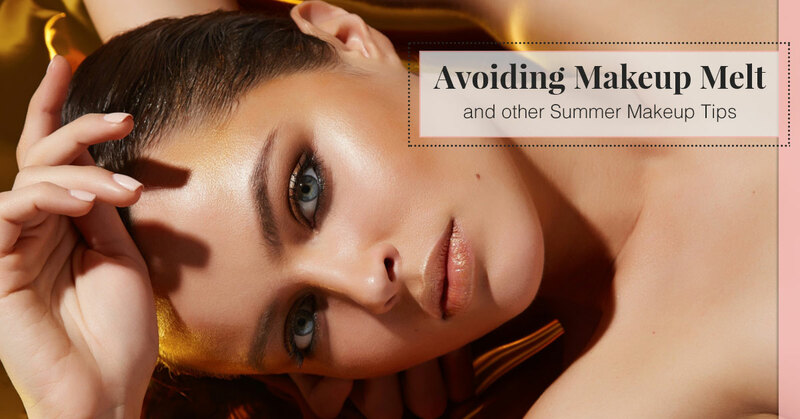 Meet with the professional makeup artists at Kiss N’ Makeup for tips on foundations that are made to weather Austin’s soaring summer temperatures. Summer is the time for cookouts, concerts, parties, and other fun events—so use this time to have fun with your makeup! Bold colors are a fun way to bring the brightness of summer with you wherever you go, whether you’re heading straight from the office to a concert or you’ll be at an outdoor party all day. Of course, bright doesn’t mean you necessarily have to go back to the bright 80s blue eyeshadow; modern makeup trends call for a bit more finesse. Smudge a bit of bright eyeliner along your lashlines or blend a few boldly colored shadows. Don’t forget the primer to help those bold colors pop out and stay put! When it comes to lips, sheer and effortless is a great go-to or, if you’re keeping your eyes more minimal, try a flush of bright pink on your lips and a light cream shadow. Don’t forget your lashes! Summer is a great time to break out that waterproof shadow to avoid accidental raccoon rings around your eyes. For makeup tips and tricks that work for your skin tone and type, schedule a consultation with one of the professional makeup artists at Kiss N’ Makeup today!